This weekend offers a fun opportunity to enjoy a beautiful Chester County weekend of art, from Lisa Fedon’s Open Studio sale, to Ivystone Studio in Downingtown and a Plein Air competition at Gallery 222 in Malvern. 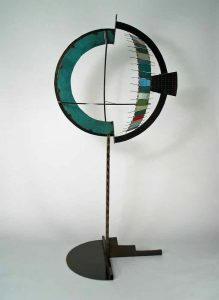 Metal sculptor Lisa Fedon will be opening up her studio this weekend for a big 25% off everything. Lisa will be joining an art residency program in Florence, Italy for the coming year and wants to raise money for her big art adventure. Lisa’s studio is at 205 Byers Road in Chester Springs, and her Open Studio hours are Friday June 23 12-5pm, Saturday June 24 10am-6pm and Sunday June 25 11am -5pm. Her location is only a mile or so from the gorgeous Ivystone Studio in Downingtown, located at 138 Moore Road in Downingtown, open 12-6pm on Saturdays and 11-6pm on Sundays. Ever since artist Lynnette Shelley has been helping run Ivystone Studio, there has been a huge influx of new art and exciting sculpture installations – so you should check that out too! 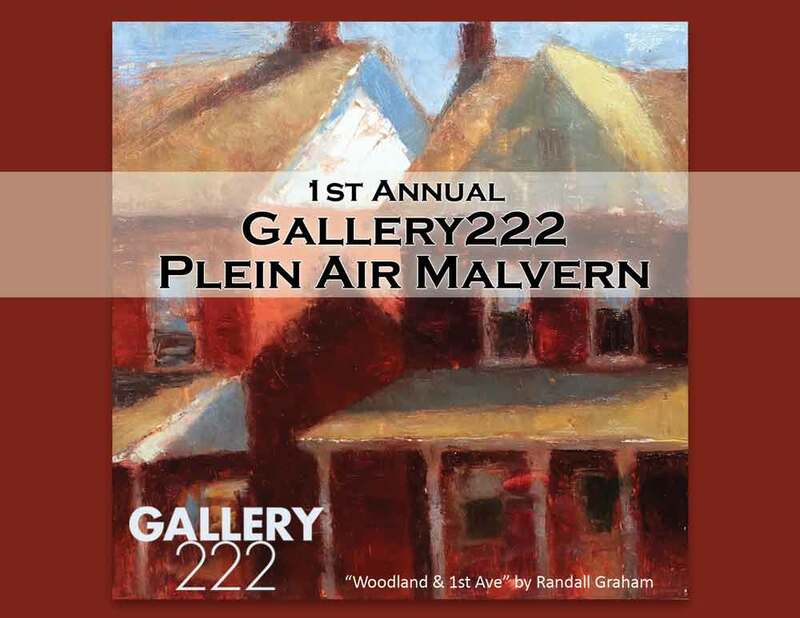 Also this Saturday and Sunday, check out painters set up throughout Malvern as they compete in the first ever Plein Air Malvern, for a great creative weekend ahead. 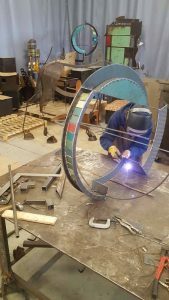 For anyone who has visited the annual Philadelphia Flower Show, you will have seen Lisa Fedon’s metal sculpture creations. Known best for her large horses, crafted with steel welded wire and metal sheet and mesh, they have a breezy, lyrical quality that defies their material. You can check out her work online at her website www. lisafedon.com. Her works range in price from $80 to $12,000, so there is something for everyone, and her works are suitable for both indoor or outdoor installation. Lisa says that she likes her work to be fun, “creating spirit within the piece.” She looks forward to changing it up and jumping into the world of Florence for a year, hoping for a “fresh view of life and art that will be reflected in my art.” Her work is in collections around the world, but her home and studio is right here in Chester County. Let’s hope Lisa returns to us from Italy and doesn’t decide to stay there! Meanwhile, this weekend offers us all a great chance to purchase her marvelous, delightful sculptures at a reduced rate, for a great cause. Just about a mile from Lisa’s studio is Ivystone Studio in Downingtown. 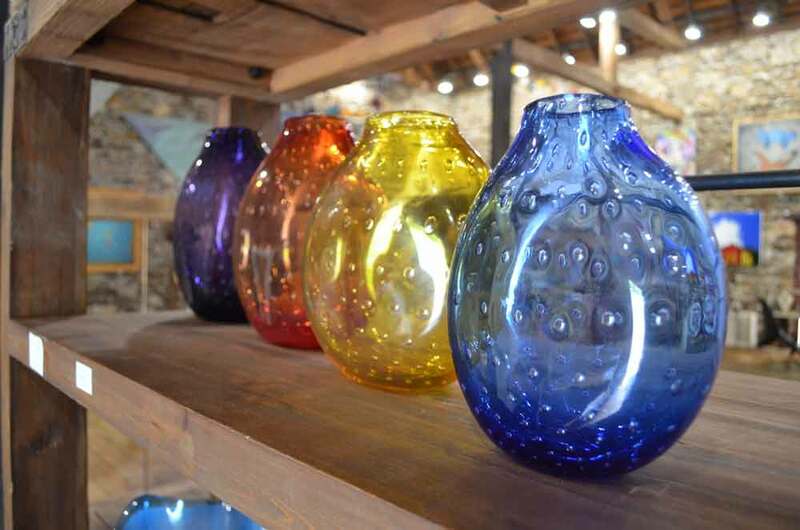 Ivystone Studio is a beautiful Chester County stone barn that has been meticulously restored and reinvented as a contemporary art gallery, as well as a glass studio for artist and owner Justin Smith. There are a full three floors of every kind of art, from paintings, sculpture, ceramic, mixed media, glass, jewelry and wood carved furniture. Newest to the gallery is an “assemblage” moose sculpture by artist Jason Lyons, colorful blown glass vases by Will Dexter, and fun movie/ kitsch-inspired pop art by Mike Bell. Now that Summer is officially here, Ivystone has expanded their gallery to the outdoors with more large scale outdoor sculptural works for sale. On July 7, First Friday, Ivystone will have live artist demonstrations by glass artist Justin Smith and painter Lynnette Shelley from 6-10pm. 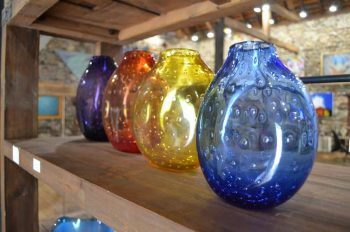 After you witness Justin’s demonstration, your appetite might be whetted to take a few of his glass-blowing classes that he is now offering at Ivystone Studio this Summer. Lynnette Shelley will be demonstrating her fusion of paint, ink and collage, that she uses to make her wonderfully vibrant modern myth paintings and animal art. Lots of great art things going on at Ivystone every weekend ! Just 20 minutes from Downingtown, in Malvern, Gallery 222, this Saturday and Sunday (June 24-25) 10 local artists will be participating in the 1st ever Gallery 222 Plein Air Malvern. After two full days of painting outside along the streets of Malvern, the artwork will be judged and awarded with a fun award celebration and artist reception Thursday June 29 from 5:30-8:30pm. No one throws a better artist reception than Andrea Strang, owner of Gallery 222, who has a huge, gorgeous, welcoming kitchen set right in the middle of the three 222 gallery spaces. The artists participating in the plein air competition this weekend include: Randall Graham, Monique Sarkessian, Elise Philips, Kristi Gilfillan, Robert Bohne, Fred Danziger, Jeremy McGirl, Barbara Berry, Denise Sedor and Nate Durnin. Malvern is a charming town, full of boutique shops, places to eat, and streets to stroll down. It is always fun to see artists at work, and this weekend offers a fun opportunity to witness these fine artists in action around Malvern.